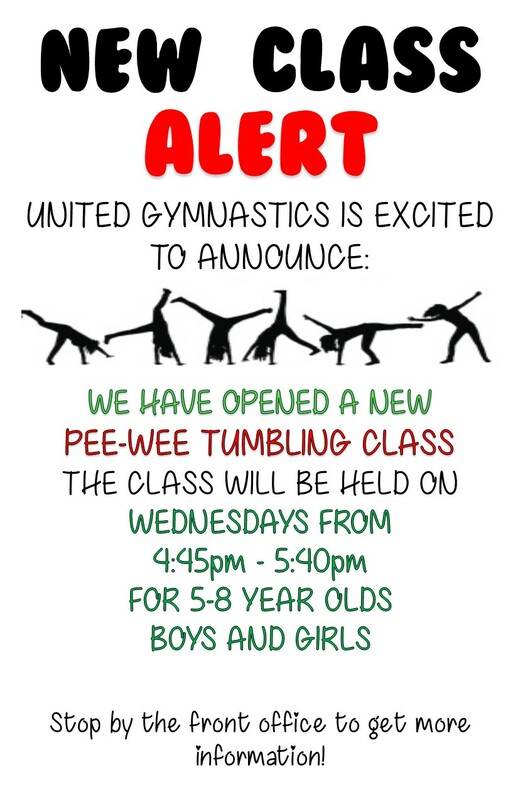 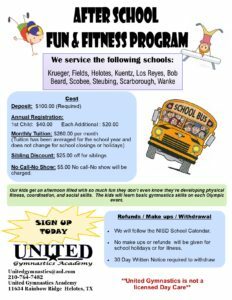 Welcome to United Gymnastics Academy! 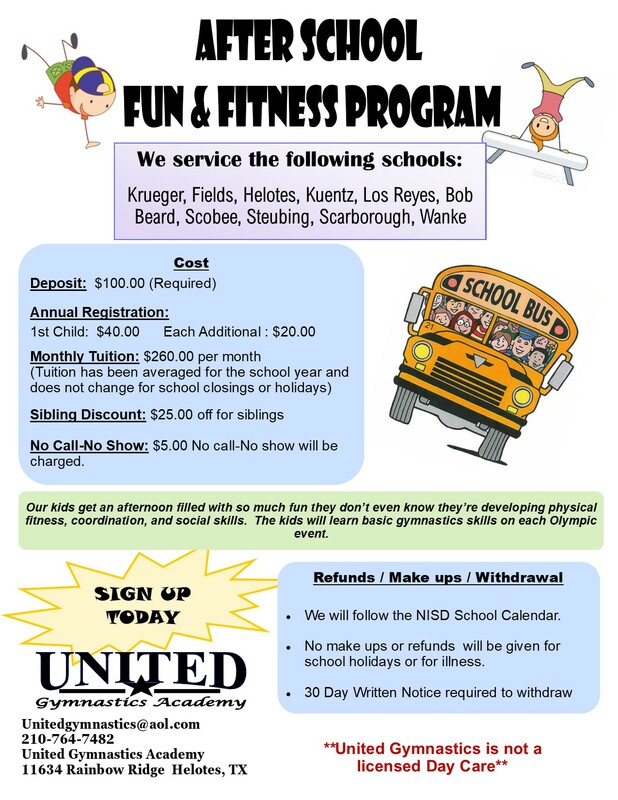 Our goal is to provide a positive and fun atmosphere where each child can train to become the best gymnast he/she can be! 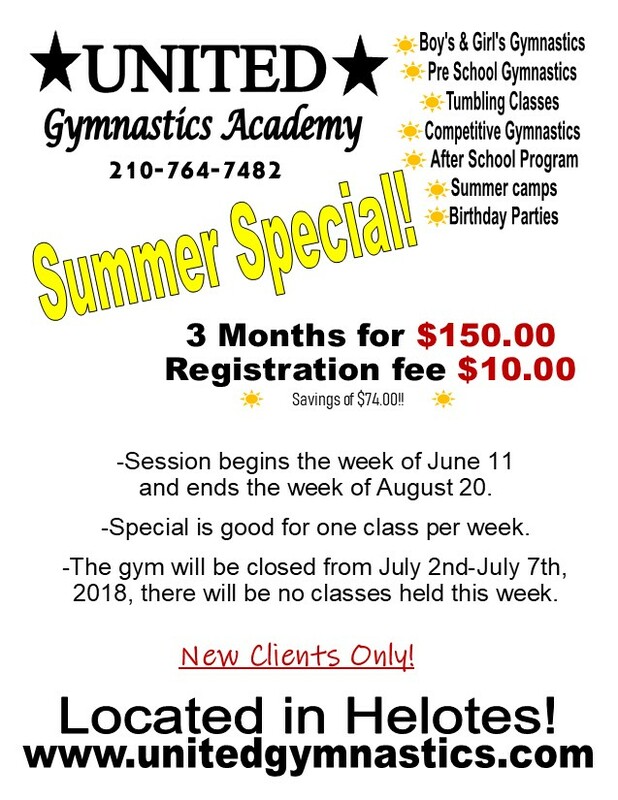 We strive not only to teach gymnastics, but also to teach life long habits that will carry your child into the future. 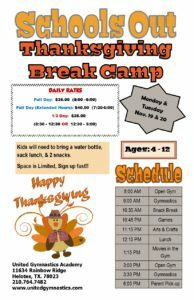 Your child will gain many positive qualities including: a higher self-esteem, the ability to set and achieve goals, and time management skills. 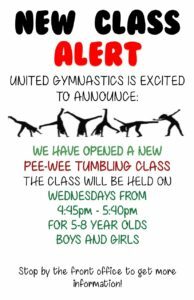 We have opened new classes! 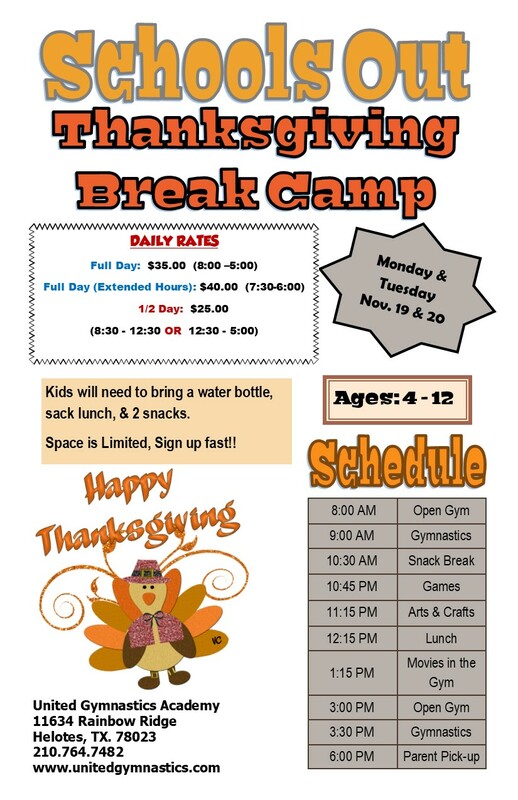 Check out to see if one of these classes would work better. 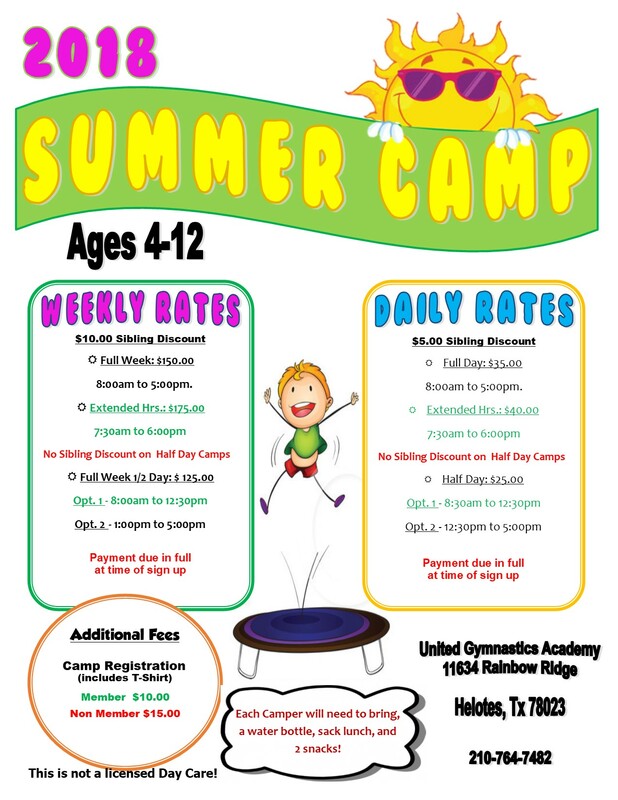 Check out our Summer Camp and sign up! 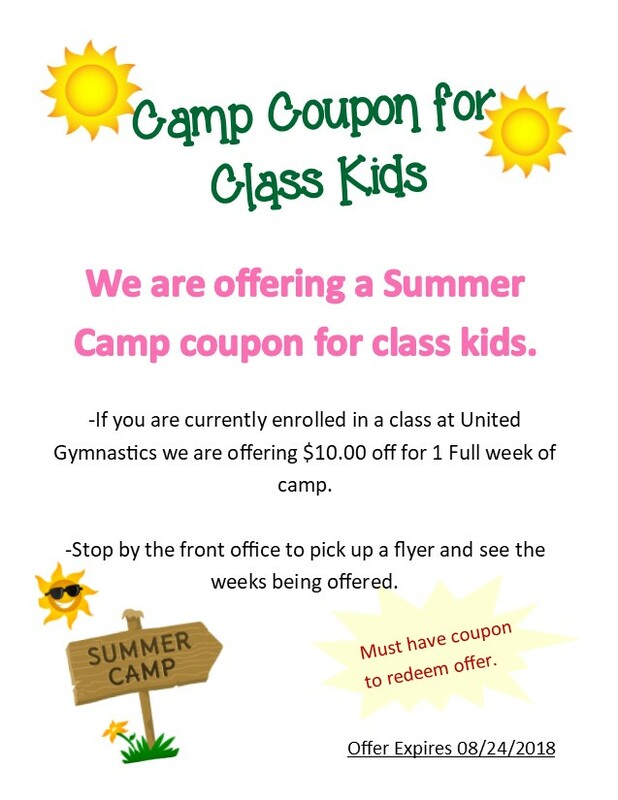 Please call the office or come in to sign up your kids to have fun at our summer camp!